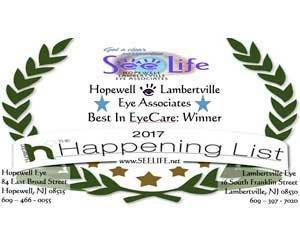 At Hopewell Lambertville Eye Associates in Hopewell, NJ, We want to make sure that you receive all of the information that you need to make educated decisions about your eye health. Our optometrists are always available to answer your questions. Q. How do contact lenses correct vision? A. To see clearly, light rays need to converge to form a focus point on the retina in your eye. If you are nearsighted, light rays focus in front of the retina, and if you are farsighted, light rays focus behind the retina. Contact lenses correct vision in the same way that glasses do, they focus light on the retina so that you can see images clearly. Because contacts rest directly on the eye, as opposed to glasses, the corrective portion of the lense can be much smaller. Q. What are hybrid contact lenses? A. SynergEyes hybrid contact lenses transform vision for patients with astigmatism, presbyopia and irregular cornea conditions. Q. What is the best contact lense solution to use for my contacts? A. I recommend Sauflon All in One Lite No Rub Formula for all of my patients who wear contact lenses. I have seen that the Sauflon formula works best for my patients with sensitive eyes and dry eyes. It provides excellent antimicrobial activity, as well as freedom from patient reactions, helps prevent lenses from drying out by the end of the day, and enhances lens comfort. A. Low vision describes describes significant visual impairment that can't be corrected fully with glasses, contact lenses, medication or eye surgery. Q. How is low vision treated? A. A low vision specialist can evaluate the degree and type of vision loss you have, prescribe appropriate low vision aids such as lighted handheld magnifiers, digital desktop magnifiers and bioptic telescopes, and help you learn how to use them. Q. Can vitamins really help my eyesight? A. Research shows that it is important to make sure you get certain vitamins that are important for eye functions. In particular, it is important as your eyes age to make sure you eat well to protect your eyes from age related illness. Q. Do you recommend that patients take supplements for eye health? And if so, which patients? A. 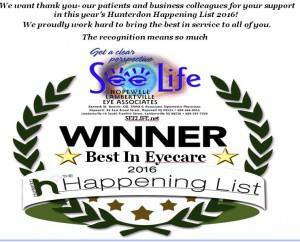 All patients can benefit from taking a good quality eye care supplement. I particularly recommend eye supplements to all my patients over 30 years of age. A. Latisse is a medication that lengthens, thickens and darkens eyelashes. Latisse both extends the growth phase and increases the number of eyelashes that grow. You apply Latisse by dabbing it with an applicator along your top lash line every night. The drug spreads to your lower lashes automatically when you blink. Q. What results can I expect from Latisse? A. After two months of nightly use, you may begin to see results in longer and more lashes. If you stop using Latisse, your eyelashes will gradually return to their former state. After a 16-week study participant experienced a 25% increase in eyelash length, 106% increase in fullness of eyelashes and an 18% increase in eyelash darkness. Q: What is the difference between seasonal and perennial allergies? How would I know the difference? A: Simply put, seasonal allergic conjunctivitis (SAC) is a more common and persistent form of ocular allergies that occurs during changes in season, which include outdoor weeds, grasses, and tree pollen. Whereas perennial allergic conjunctivitis (PAC) is a more mild and chronic presentation that occurs year-round from common indoor allergens, such as animal dander, molds, fungus, and even dust mites. Q: I have seasonal allergies. How come my eyes are still itchy even after I take a Claritin pill? A: You may need an anti-allergy eye drop to target the symptoms in the eye. Much of the time, oral anti-allergy medications are not that effective at treating the symptoms in the eye. In fact, oral anti-allergy medications can cause dry eyes which then worsen the symptoms due to allergies. Depending on the severity of the symptoms, either over-the-counter or prescription- strength eye drops can be prescribed to provide relief. Q: How will I know if my child is getting better from Amblyopia? Is it too late to help my child if the problem is undetected after age 6? A: Lazy eye will not go away on its own. We have what is called electrodiagnostic testing which can determine the effectiveness of amblyopia treatment without relying on the response of the child to "tell" us how well they are seeing. Oftentimes, parents worry that the eye exam is not accurate if their child is not old enough to read the chart or is uncooperative due to anxiety of getting an eye exam. This test is non-invasive and fast (30 minutes) and can be done right here in our office for patients of all ages, starting in infancy. We can track over time how the therapy is working and the prognosis of vision. A: Sometimes called Lazy eye, it is the underdevelopment of central vision in one or sometimes both eyes; it also prevents both eyes from working together. Q: What exactly is astigmatism? A: Usually it is related to the shape factor of the front surface of the eye called the cornea. Instead of being shaped spherically like a ball bearing or a marble, it is shaped like a football, being more curved in one direction than the other. This brings light to focus at more than 1 point. The root word stigma means point and the prefix A means without a point focus in the eye. Q: My previous eye doctor told me I have “stigma!” Am I going to go blind? A: Stigma is actually referring to a type of refractive error known properly as astigmatism, and no, you will not go blind from having astigmatism; it is not a disease, in fact, it is relatively common. There are three types of refractive error, myopia, hyperopia and astigmatism. The former two are more regularly referred to as nearsighted (cannot see far away) and farsighted (cannot see up close). Astigmatism is simply the third category; it affects both the near and far vision at the same time. Much like nearsightedness or farsightedness, astigmatism is corrected using glasses or contacts. Technically speaking an eye with astigmatism requires two different prescriptions to correct vision in one eye due to the more oval shape of the cornea. This will require a more specialized contact lens and a more in depth fitting procedure. Nonetheless your eye care provider can, and will, correct your astigmatism with glasses and/or contacts. A: Recently, the optical community has found that blue light can also cause long term damage to the eye. It has been found that overexposure to blue light over time can lead to macular degeneration. To help protect our eyes from these rays, a new coating has been found to block out this blue light. Anti-reflective or anti-glare coating could be a term that is familiar to you. Labs have found a way for these features to block the blue rays coming from our handheld devices, computers and fluorescent bulbs. This coating has several benefits and protecting our eyes from these harmful rays is one of them. A: Most vision problems are amenable to contact lens correction and there's no set age limit, whenever mom says it's okay. Typically 12 or 13 is when children start using contact lenses. Daily or 1-Day contact lenses are easier for children because of zero maintenance and a safer option for younger wearers. Q: What are multifocal lens implants? A: Multifocal lens implants are often used in cataract surgery to reduce the dependency upon glasses for both distance and near vision after the surgery is completed. As with other medical technology, not everyone will be a good candidate for this type of surgical implant. Patients with conditions such as diabetic retinopathy, glaucoma and macular degeneration, etc. may not receive the full benefit of these lenses. Also, some patients with corneal scarring or those with significant astigmatism are not always the best candidates for these lens implants either. Your eye care professional can help determine if this lens implant option is right for you. Q: My doctor says I have a cataract, but he wants to wait a while before removing it. Why? A: A cataract usually starts very small and practically unnoticeable but grows gradually larger and cloudier. Your doctor is probably waiting until the cataract interferes significantly with your vision and your lifestyle. You need to continue to visit your eye doctor regularly so the cataract's progress is monitored. Some cataracts never really reach the stage where they should be removed. If your cataract is interfering with your vision to the point where it is unsafe to drive, or doing everyday tasks is difficult, then it's time to discuss surgery with your doctor. Q: What are cataracts and how can they be treated? A: Cataracts are a clouding of the lens inside the eye. They are common with age, certain medications and medical conditions. Patients usually feel like they are looking through a dirty window, cannot see colors the way they used to or have increased difficulty with glare. Currently, the treatment is surgery to remove the cloudy lens. Stay tuned for medical advances in cataract treatment in the future! A: Cataracts occur when the natural lens of the eye, positioned just behind the pupil, changes from clear to cloudy. This causes increasingly blurry vision that eyeglass prescription changes cannot help. When the blurriness worsens to the point that it interferes with a person’s ability to read or drive or hinders their lifestyle, the cloudy lens is surgically removed and replaced with a clear plastic one, restoring clear vision. These days, cataract surgery can take as little as 20 minutes, and with little down-time and excellent outcomes. Q: Can younger people get cataracts? A: You may have a cataract from birth. Yes. Very rare but you could be born with cataracts or cataracts could be caused from injury or surgery. Some cataracts may have a little dot - congenital cataract that doesn't affect your vision and you won't even notice. The doctor may see it on exam. Q: What are cataracts and how do they affect my vision? A: A cataract is a gradual clouding of the crystalline lens, located inside the eye, causing decreased vision. Cataracts most commonly occur with aging, and are a normal part of the aging process. Other causes of cataract development include ocular trauma/surgery, radiation, smoking, systemic disease (metabolic and genetic conditions), and certain medications (particularly corticosteroids). Symptoms of cataract vision loss depend on the type, location, and severity of the cataract. Cataracts may cause gradual blurry vision, halos around lights, poor night vision, prescription changes, and glare symptoms. A cataract is treated with outpatient surgery, in which the crystalline lens is removed and replaced with a clear lens implant. Surgery is typically done with local anesthesia, with minimal or no complications. Nearly all patients achieve improved vision and often do not require glasses post surgery. Cataract surgery is one of the safest and most common surgeries performed in the United States. Your optometrist will evaluate your eyes for cataracts at each comprehensive eye exam. Please let your optometrist know if you experience any of the above symptoms. Q: Do I have to wait until my cataracts are "ripe" before I can have them removed? A: No! Waiting for cataracts to get "ripe" refers to an outdated surgical technique. 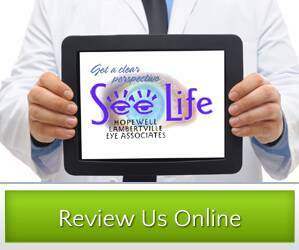 Today, we recommend cataract removal when your quality of vision interferes with your quality of life. 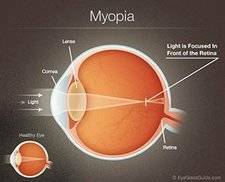 It is possible to have 20/20 vision, yet be so disabled by glare from headlights or sunlight, that cataract surgery may be the right treatment. We will monitor your cataract progression and help you decide the proper timing of cataract surgery. Q: What is a cataract? How will I know when I have one? What can be done to fix it? A: A cataract is a clouding of the crystalline lens. The crystalline lens sits behind the iris, or the colored part of the eye. Its function is to fine tune our focusing system by changing shape as we view objects at different distances. Our lens eventually loses its ability to change shape; this is when we require reading glasses or bifocals. In addition, the crystalline lens can become cloudy or yellow as a part of normal aging. This is also known as an age-related cataract. Normal, age-related cataracts are unavoidable and everyone will develop them at some point if they live long enough. The discoloration of the lens leads to an overall blur, a decrease in contrast sensitivity, and a worsening of glare, especially at nighttime. Because they tend to develop gradually, the symptoms are often unnoticed by the patient. A yearly eye exam will allow your optometrist the opportunity to identify the cataracts and advise on how to proceed. When your optometrist decides your cataracts are affecting your vision and are advanced enough to remove, you will meet with an ophthalmologist. Cataract surgery is a safe and effective out-patient procedure that will reverse any vision loss caused by the cataracts; and it is usually covered by your medical insurance. Q: My child saw 20/20 at their school physical. That's perfect vision for back to school, right? A: Maybe! 20/20 only tells us what size letter can be seen 20 feet away. People with significant farsightedness or eye muscle imbalances may see "20/20", but experience enough visual strain to make reading difficult. Vision controls eighty percent of learning so include a thorough eye exam in your child's Back-to-School list. Q: What are monthly lenses? A: Reusable contact lenses are replaced monthly (or bi-weekly), depending upon the brand of lens. Monthly lenses are thicker and more durable than daily disposables, and they must be cleaned regularly to prolong their healthy use. They are available in a wide selection of fittings and prescriptions, and are typically more resistant to drying out than dailies. Q: Why is my child having trouble reading and concentrating on schoolwork? A: Your child may have an underlying refractive issue, such as farsightedness, nearsightedness or an astigmatism that maybe be causing blurred vision, thus making it hard for your child to concentrate and focus. There may also binocular issues, which is how well the two eyes work together, and focusing issues, that may affect a child's schoolwork. When working with your child, we will evaluate the child's visual system including their binocular systems and accommodative systems to determine if his/her vision may be playing a role in their academic performance or sports performance.